The gold rushes attracted many Irish immigrants during the 1860s, first to Otago and then in larger numbers to the West Coast. West Coast Irish were predominantly male, Catholic and from Munster. 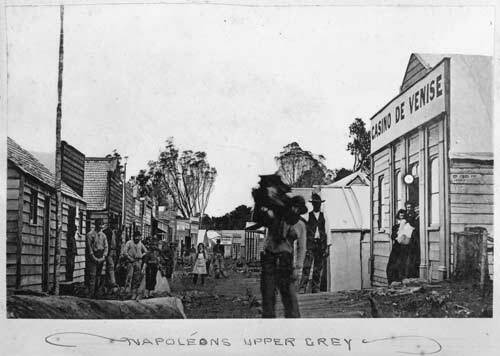 This remarkable image shows a street in the gold-mining settlement of Napoleon Hill, Ahaura, on the West Coast.